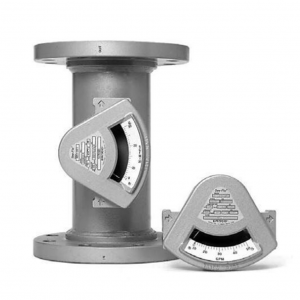 GEMU Model 800 Flow Meter – W.T. Maye, Inc. 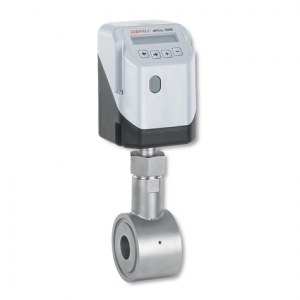 The flowmeter operates according to the variable area principle. 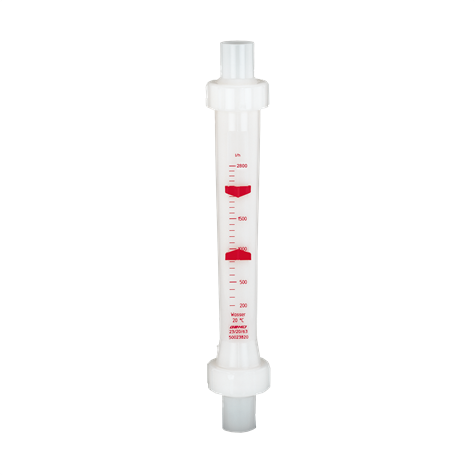 Metering tubes are available in Trogamid-T, suitable for inert media, and polysulfone, suitable for corrosive media (PVC and PVDF tubes on request). 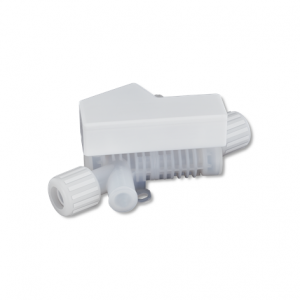 Male threads moulded onto the ends of the metering tube allow for easy mounting of unions. O-ring seals at the faces of the tube ensure reliable sealing between metering tube and union and provide stress-free sealing. The floats are available in stainless steel 1.4571, PP or PVDF (depending on flow medium and measuring range). 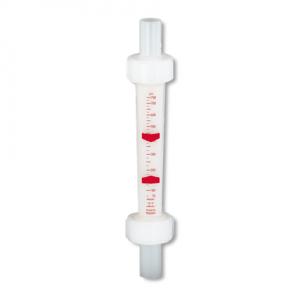 The scale on the metering tube can be suited to the medium and is available e.g. in l/h, m3/h or %. 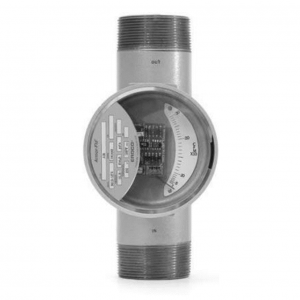 Dovetail sections moulded onto the metering tube allow for easy mounting of adjustable visual flow indicators, limit switches and a continuous readout transmitter. Working Medium: Inert and corrosive liquid and gaseous media which have no negative impact on the physical and chemical properties of the tube, float, seal and union materials.